Are you addicted to stress? Does it drive you to push harder and harder while looking down at the wimps who can’t match your output? I’ve definitely got health and work on my list of reasons to keep the stress juice flowing. The addiction viewpoint rings true because when I hit the weekend and intellectually I recognize the need to slow down and rest up, I feel the intense need to do something productive. 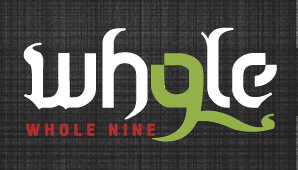 Lies We Tell Ourselves | Whole9 | Let us change your life. People typically don’t brag about their dedication to cocaine, or their disciplined daily alcohol consumption. These behaviors (excessive drug use or drinking) can bring upon bona fide addictions, and literally destroy health, happiness, and quality of life. But what about other addictions—unhealthy obsessions that masquerade as conscientiousness, dedication, devotion to something “healthy?” How often do you hear people proudly telling others about their obsession with the gym, their ever-progressively restrictive dietary protocols, or the fact that they’re tied to their Blackberries 24/7?